Sasha Says Nails... I'm a Manicure Momma: NOTD: Sally Hansen Gem Crush in Cha-Ching! 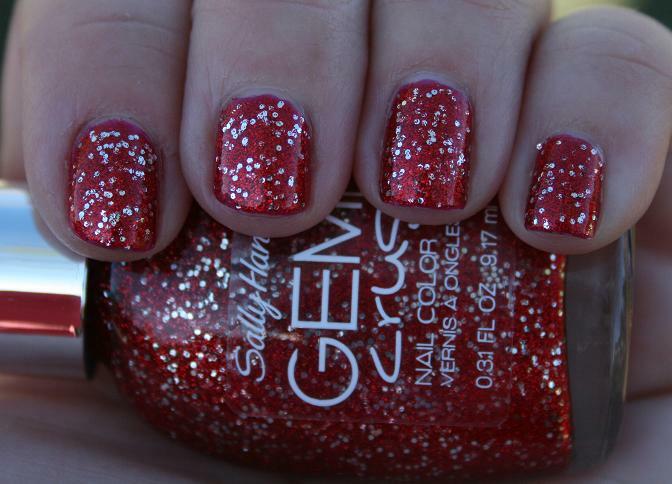 Sally Hansen Gem Crush in Cha-Ching! I loved this so much! 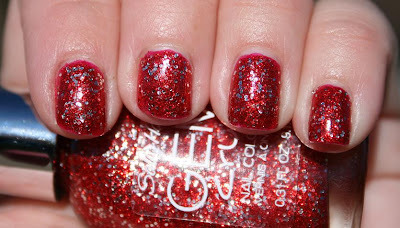 It was so eye-catching and glitzy. It wore fabulously for about 2 1/2 days, then it did start to chip. Not a big deal to me, since I have polish ADD and am ready for a new shade after a day or two anyway. I like the red but not so much the glitter.